iOSnoops is constantly on the lookout for new apps, and here are 26 iPhone and iPad apps that were released recently. 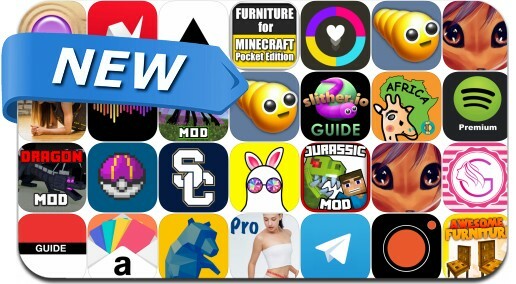 This new apps alert includes Klocki, Time Locker - Shooter, Quell Zen, News Break - Personal & Local, Color Switch 2, Furniture Mod, Video Voice Change.r, Wallpapers for Pokemon Go, Recorder Pro and many others.
" If you stop, Time stops " TIME LOCKER is the endless arcade shooter. Time scale is changed by you move. Let's strange battle with one finger ! !